You just knew that everyone who produced the GeForce GTX 1060 6GB card would repurpose their coolers for the 3GB iteration that has come out recently. 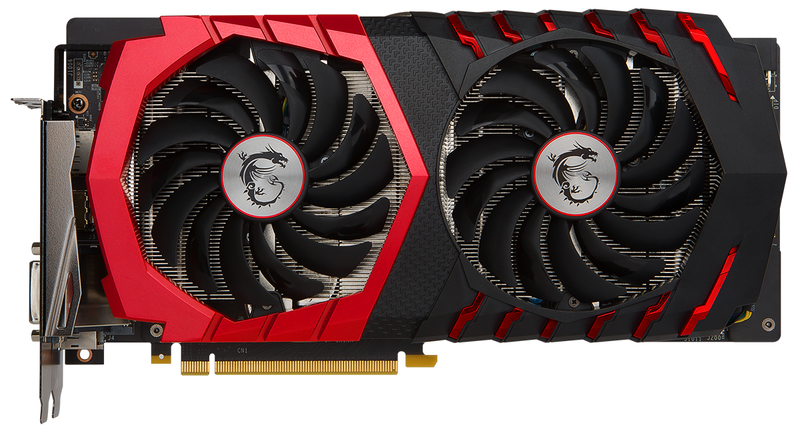 MSI goes down this path with the Gaming X GTX 1060 3GB priced at £225. That sum is in keeping with the premium nature of the Gaming X line, representing the best that MSI has to offer. It's not what we'd call exclusive as the cooling is present on at least 18 other graphics cards. But why change a winning formula? Previous reviews have shown the Gaming X to be cool, quiet, refined and, well, just all-round good. Gaming and Gaming X both share the same cooler, whose fans switch off at temperature below 60°C, but are differentiated by speeds. The review sample, designated X, runs at 1,569MHz core and 1,785MHz boost in standard, out-of-the-box 'gaming' mode, though you can increase the speeds a touch by hitting OC mode in the bundled MSI utility. Our sample was clocked in at the correct gaming speeds. It's only adventurous partners who delve into overclocking the memory. 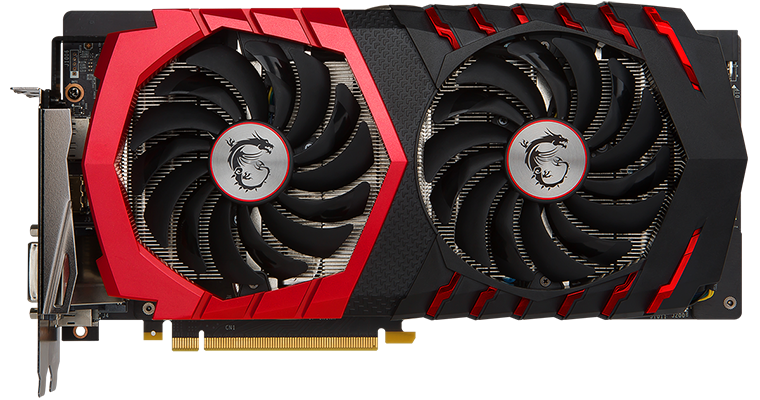 The bigger boys, such as MSI, rarely bother unless it's their premium card. This red number runs 3GB of GDDR5 memory at the default 8GHz. 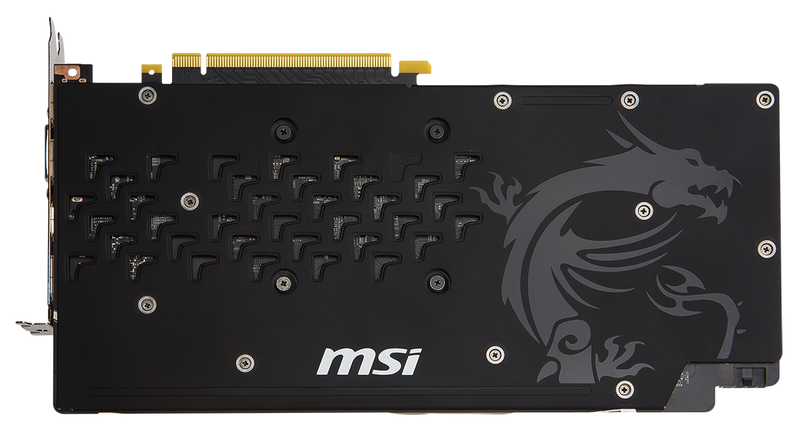 We'd describe it as a mid-sized card, measuring 277mm long, 140mm wide and 39mm high. You get all the RGB lighting jazz, controlled by a Windows App, that is overly prevalent today, yet MSI does a good job in ensuring the side- and top-mounted lighting doesn't overpower the card. The Gaming X design feels as good as it looks, with a practically full-size metal backplate covering the large, custom, six-phase PCB. This really is the 6GB card on a memory diet. It's worth pointing out for the uneducated that this particular GPU has fewer shaders than the full-core part - 1,152 vs. 1,280. A backplate is a nice touch, and overall build quality is amongst the very best out there. There's no SLI support on the GTX 1060, sadly, so the PCB isn't exactly the same as the bigger, faster GTX 1070 and GTX 1080. Enough oomph is provided by an 8-pin power connector on the edge of the PCB. 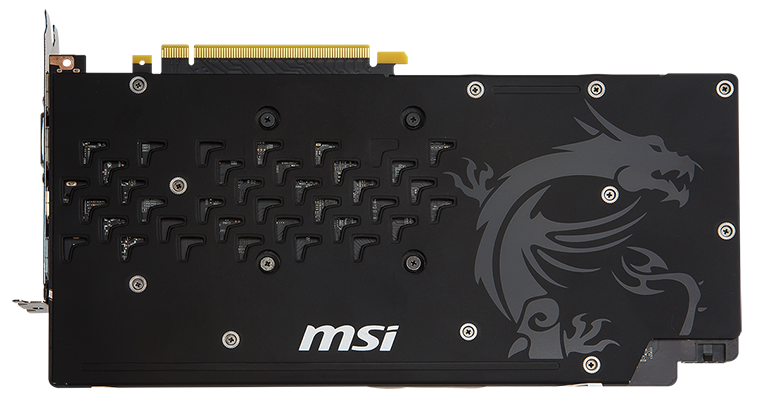 MSI seems to chop and change the backplate as it sees fit. Some feature a black one, others go for a standard silver, as shown above, even though the box shows it to be black. Though looking different to Nvidia's Founders Edition, the outputs are actually identical. Pricing is more sensitive in this part of the market than anywhere else presently. This means the £225 asking fee is 10 per cent more than cards with similar speed characteristics, albeit with coolers and designs that have less money spent on them. Can that be justified? Read on to find out.